President Barack Obama visited Mooresville Middle School in Mooresville, NC on June 6, 2013 to unveil his bold, new ConnectED initiative, aimed at bringing high-speed internet to students. 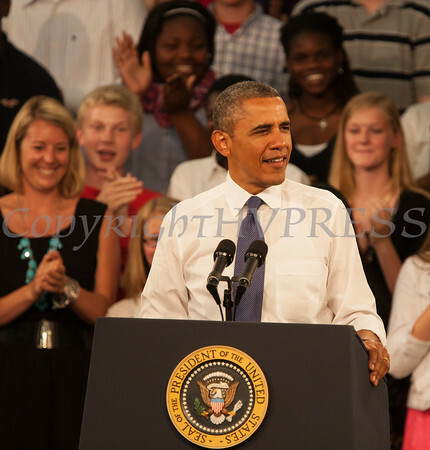 President Barack Obama visited Mooresville Middle School in Mooresville, NC on Thursday, June 6 to unveil a bold, new initiative called ConnectED. Hudson Valley Press/CHUCK STEWART, JR.